If you are serious about using Instagram to grow your following fast, get leads, and build a profitable business, then keep reading. Warning: Do not read this book if you hate money. Instagram is one of the most effective social media to advertise a product or a business. It has more than 800 million users. In this era, people spend a tremendous amount of time on their phone, and if you learn to target the right audience, Instagram marketing will help you sell almost anything. This book covers the latest strategies that are working on Instagram right now. Everyone loves pictures and video, so using Instagram for marketing is a brilliant strategy if done correctly. If you learn how to engage your audience, you will multiply your followers and explode your profits - effortlessly. 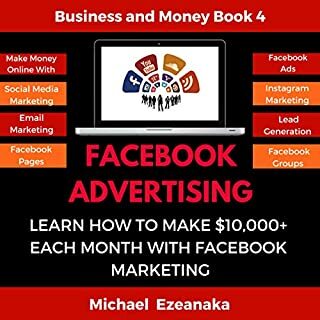 Also, I added a bonus chapter of my Facebook Advertising book to help you maximize your exposure and your sales. Buy and download to get started today! 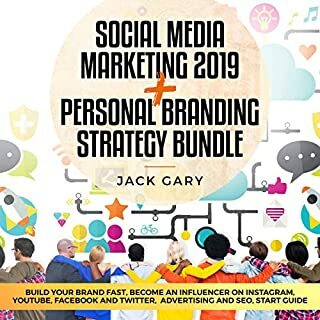 The book goes into depth in how to create a strong Instagram profile and Converting followers Into clients via Instagram sales funnel which I think would be useful for people who aren't familiar with Instagram but want to use it to their advantage for marketing. I recommend this book to anyone who wants to use social media more actively and effectively to market! This book is great for current and future business owners, executives or anyone who wants to make their company more successful! Great read and it really hit home for me ( a small to medium business owner) on so many levels!. Now for me Instagram is not for fun but it's a path of Income..
Way boring. Bad business advice. Don’t waste your time on this one. Poor, boring advice. For example they suggest asking your friends and family for their advice about your business Instagram name. Why!? Friends and family either tell you what they want to hear or assume you’re asking them to find something wrong. Unless you’re making an account to sell something to your friends and family, why would it matter what they think about your account name? Great book I loved every part of it. thanks Susan, hollister for your work and what you’ve shown me Some of the Strategies are pure genius. 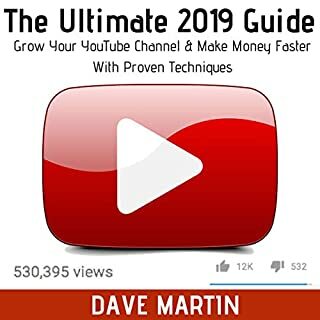 Highly recommended for all who need to and want to change for the better business and Improved Income Instagram marketing. A brilliant book! Read and listen! Social Media is really important for illustrator or any professional in creative industry, really powerful to get clients. This book is easy to read and truly approachable. I think it is good first step for anyone who is not so sure on how to promote their business on Instagram. It is an ongoing, current topic which should be talked about. Extremely beneficial! Thank you. I’ve learned new information from this audiobook. This audiobook is full of great advice. Content and links are easy to read and up to date. This has helped me hugely. You will discover everything you need to know about Instagram marketing! Thanks for this book. It really helped me have a better understanding of how to use Instagram in ways that I didn't know before in order to help my business grown and attract new costumers. In this book there are a multitude of practical tips and instructions that you can follow, select your preference or your requirements. These instructions are simply amazing. Thanks Mark and Susan.. I believed, Instagram marketing isn’t about flipping a switch and calling it a day and not an easy task. Social media like Instagram is one of the most powerful tools in marketing arsenal. If we use it correctly, we can create a strong personal connection with our prospective customers. The content and the way Instagram Marketing discussed from this book is very clear and easy to understand. I found this audiobook very effective to us! The book is great! It is a real how to guide, step by step and offers lots of insight and ideas of things to explore online. I have not yet read the book entirely. I have had it for a week, and read a few pages daily but every time I read a little I am drawn to the web to try out, test or explore what I just read! Excellent book for the Instagram marketer, Authors speaks from experience.I found this book to be inspirational and practical - nice balance. After reading this book I now have the knowledge and tools necessary to build something great. The book not only told me that I could succeed, it told me how to succeed. I couldn't imagine going through my Instagram marketing journey without this book as a guide, EXCELLENT! Full of informative and exciting material. Narrator full of energy that electrifies the listener. I'm Impressed!! This is simply a must read for any Businessmen who struggles with taking their team to a new level of productivity. Nowadays Instagram is one of the most important tools for any business and is the best way to promote it. The authors will introduce you in building a Strong Instagram profile and then will explain you how to Grow your fan base in Instagram. Also they will explain you how to use and promote your business in this platform. So if you are an entrepreneur and you want to promote your new business this is the ideal book for you. 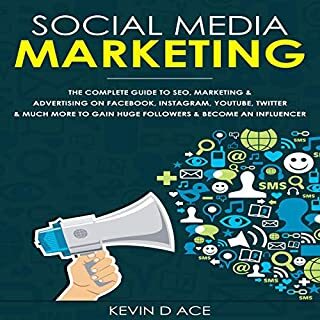 This valuable book gave me interesting and cost-effective ideas to promote my business' products by means of social media. my focus now is facebook and twitter and i just can't get enough of my excitement as i heard recommendations on these areas. i'll surely put them into action soon! Also,Authors added a bonus chapter of his Facebook Advertising book to helps to maximize our exposure and sales. Instagram marketing is one of the essential tools in the internet marketing strategy for building a community and engaging with your customers. 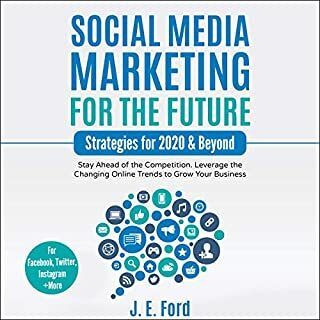 Many of us struggle to iron out exactly what Social Marketing and how will it help our brands and business, and this book is truly worthy and helpful. I’ll definitely dig it and individually suggest to my friends. I’m confident they will be benefited from this site. Thank you so much for this book.!! Instagram Marketing is a crucial tool for success in business today. People are already talking about your business using social media, whether you're using it or not. By becoming part of the conversation, you can start connecting directly to your customers, as well as finding new ones, easily and inexpensively while spreading the word about your products or services. Authors teach you the entire Pulse of social media marketing: how to access all the benefits of Instagram marketing without the stress! 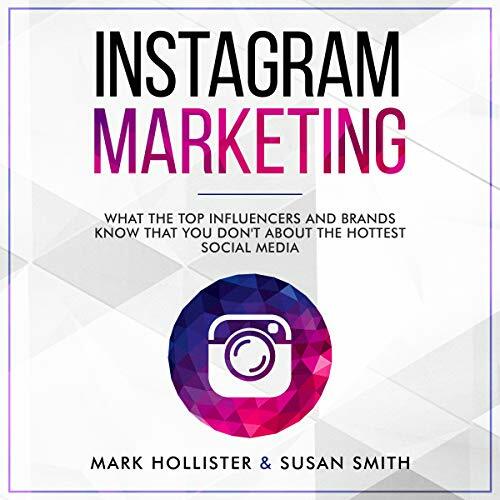 Very useful book about Instagram Marketing! It is helpful for me as a Fabric manufacturer to be more visible and more connected to my audience. 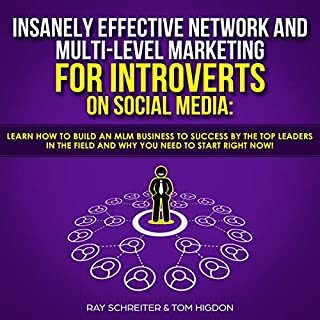 In the book you find both how to be more popular on the media- gain more likes and followers as well as how to maintain them and make them useful once you have them. I find the social media platform crucial for success in the field of Fabrics , and with this book providing such great tips it is very helpful to my success! Chapters ended abruptly, sections were poorly edited with sentences clipped. Initially I thought it may be an error with my device/download but after testing on multiple devices, it seems to be the audio book. A good high level intro to Insta that becomes somewhat repetitious. Narrator becomes tedious after a while. Lacking in actionable steps to execute (eg how to gain shout outs. Tells me why they’re useful only!!!). Much of content is very broad and common sense (eg post quality content, be professional, use hashtags, follow competition in your niche) and lacking specific practical steps to implement. Overall this book promised a lot, but delivered very little practical content. Good if you've never ventured into Instagram. Simple and intuitive information that could be obtained through using Instagram, Googling & experimentation. For those who wish to be prepared BEFORE starting, it's a good beginning point. Audio skips a little in the beginning but to no detriment in content. If you're looking at dipping your toes into Instagram, a good first book.